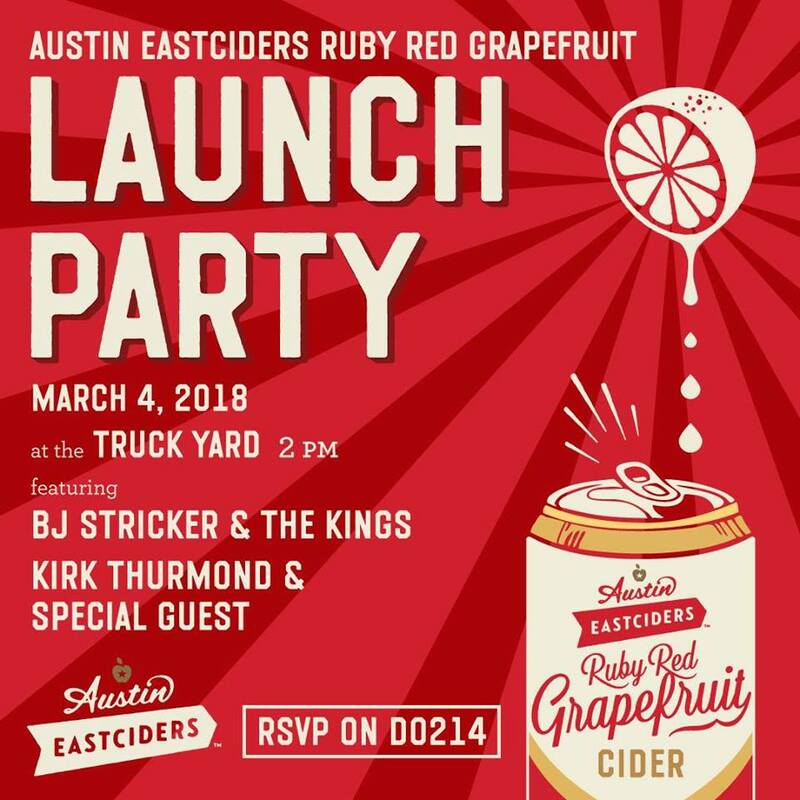 You are invited to Austin Eastciders Ruby Red Grapefruit Launch Party! Austin Eastciders is releasing a new flavor and Truck Yard is offering a first taste opportunity. Enjoy live music, photo booth, and more!